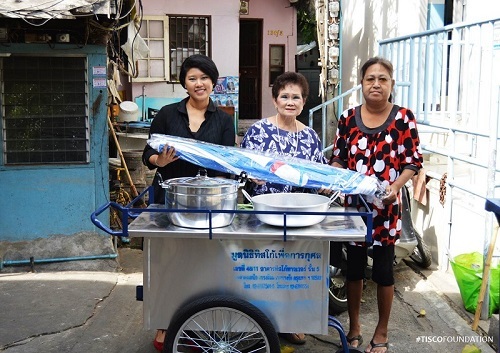 TISCO Foundation: มอบทุนประกอบอาชีพนางรัชนี มัตสุรีย์ - Start-up grant to Ratchanee Matsuree. 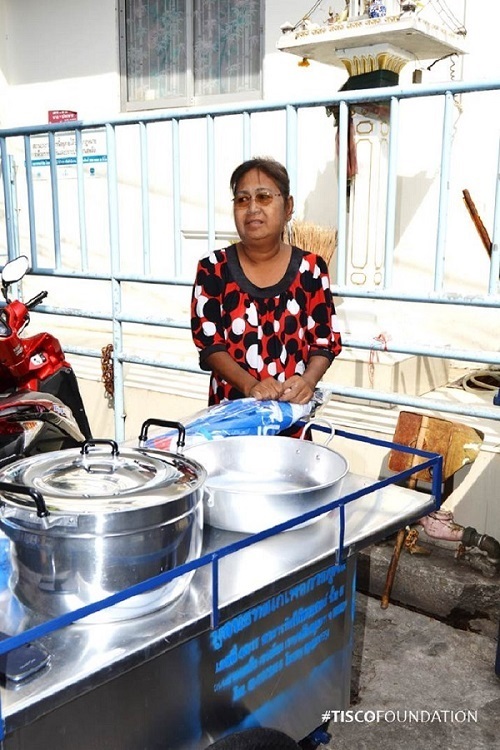 มอบทุนประกอบอาชีพนางรัชนี มัตสุรีย์ - Start-up grant to Ratchanee Matsuree. Earlier this month, TISCO Foundation donated a start-up grant to Ratchanee Matsuree, 50 years old. She sells fish cakes and steamed curried fish in Mo Leng area. 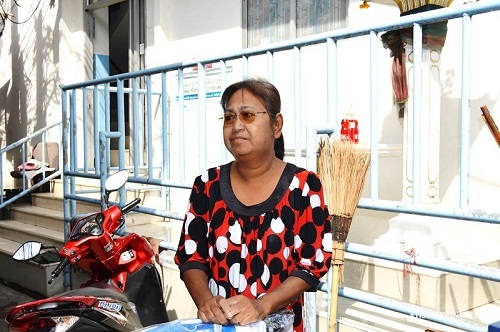 However, she has a severe kidney disease that requires her to receive hemodialysis 2-3 times per week. 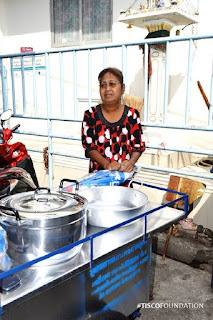 The start-up grant includes a vending trolley and cooking utensils, about THB 4,000 in value, so she can make more earnings to cover her medical expenses.